1994/08, CPR mile 28. Mather yard looking W. along main track across Vaughn Street. 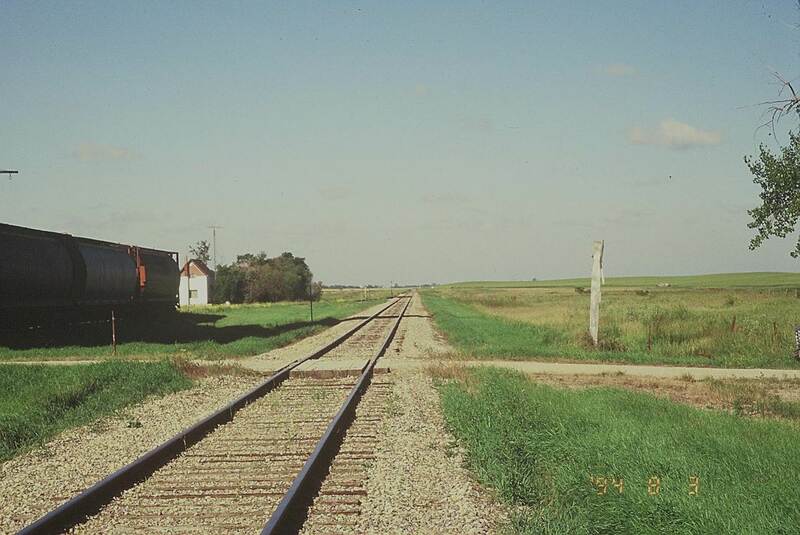 Hopper cars lined up for Manitoba Pool elevator on siding to the left with former CPR section house (now a private residence) in the background on south side of track. (Click on photo for detail) © Text and Photos exclusive copyright of N. Froese. This entry was posted in Uncategorized on 2015-06-22 by nfroese.